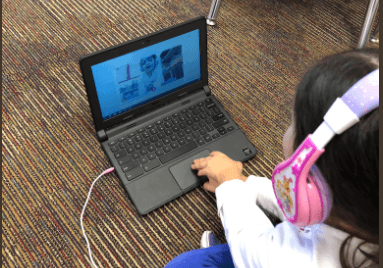 Description: Students will use Flipgrid to retell a story’s beginning, middle and end or character traits with their book bag books. Students will read a book from their independent level book selections. This book should be on the student’s level and be chosen by the student. Once the student has read the book during SSR, the student will go to flipgrid.com. Students will create a video to a the given prompt: Retell the beginning, middle, and end of your SSR book OR Describe a character in your book and the way they felt in the book, explain why they felt that way. Teachers will need to create a Flipgrid account and a Topic to share with the students before the student can record their video. Encourage students to respond to others’ videos with an I wonder…. statement. ISTE Standards: 6a Students choose the appropriate platforms and tools for meeting the desired objectives of their creation or communication.